Haas' new title sponsor has targeted Red Bull in Formula 1 as they launched their arrival in the sport with a bold vision for the team's future. 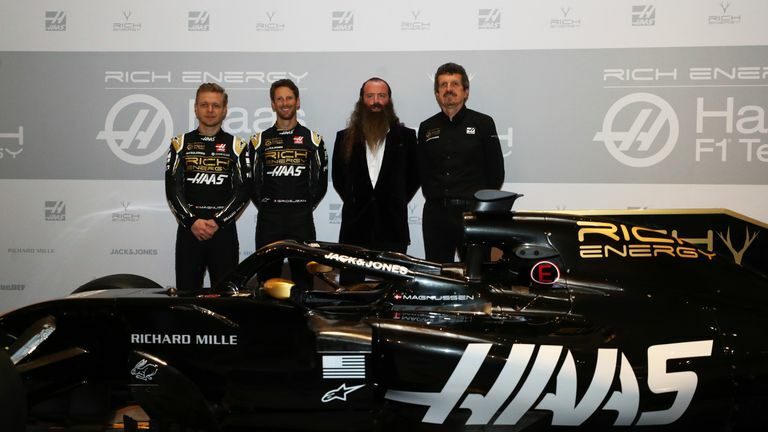 Rich Energy's long-mooted arrival in the sport has coincided with their black and gold colours being incorporated into Haas' car livery for 2019. "We're looking forward to taking on Red Bull - both on and off the track," said William Storey. 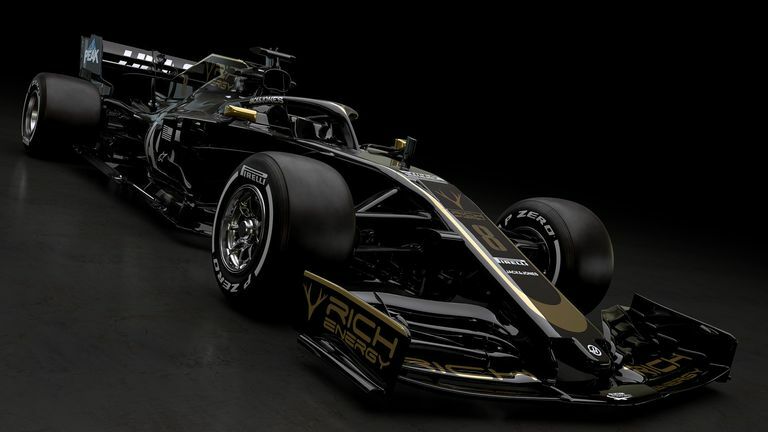 Haas have offered a first look at F1 2019 by revealing a striking black and gold livery for the new season. "We intend on being in Formula 1 long, long term and we believe that Haas are a dream partner for us. They're a David taking on Goliath within Formula 1 and we're doing the same in the drinks business." On the sporting side of that challenge, Haas finished fifth in last year's standings, two places behind Red Bull, but the former world champions scored more than four times their points. "You have to try hard. If you have no targets you never achieve anything," he said. "It's an ambition. In racing they are very good, but you never know. Last year we had the fourth-fastest car and finished fifth, but the next one up was Red Bull. "We can try. If you don't try you don't achieve it." Steiner added: "I have confidence again we have got a solid car and I don't see anything bad coming for us. Hopefully I'm right." While Steiner acknowledged the team remained inconsistent in 2018, their car's pace was such that they regularly were the fourth-fastest team behind Mercedes, Ferrari and Red Bull. "We took a very big step from 2017 to 2018 and we're now in a place in the rankings that is very competitive," Magnussen told Sky Sports News. "To take as big a step [in 2019] is very difficult - it's going to be incredibly difficult to even hold on to where we were last year. "But I think we can do it. Our ambition is to take a step forward but it's a competitive place that we are now in and it would take a lot of hard work and a very good job to do that." Former champions Renault, who pipped Haas to fourth, McLaren and Williams are all targeting improved campaigns and Magnussen added: "Renault were strong last season, beat us to fourth, and they haven't been sleeping over the winter so are going to be very strong again this year. "We'll see about McLaren and Williams, two very big teams who haven't been performing to their level the last few years. They are going to get back at some point probably, but we've got to focus on ourselves and use the experience we've gained to improve everywhere." While still relatively little-known, Rich Energy have been linked with involvement at F1 teams for the past two seasons but potential tie-ups with Force India and Williams have not materialised. "By every metric they were vastly superior," said Storey. "They've got the best business model in the sport, they are uniquely positioned to exploit regulation changes. They are run in a very unpretentious fashion, they are proper races and Gene Haas is a wonderful businessman who is approaching motor racing in the right way. "They have got a brilliant team principal and two drivers with personality, which is superb."